(Daily Signal) The fight over Planned Parenthood reached a boiling point Tuesday on Capitol Hill when Cecile Richards, president of the organization, testified before Congress about how the group uses its federal taxpayer dollars. “The latest smear campaign is based on efforts by our opponents to entrap our doctors and clinicians into breaking the law — and once again our opponents failed,” Richards said in her testimony before the House Oversight and Government Reform Committee. The hearing was called by Chairman Jason Chaffetz in light of “disturbing” videos emerged this summer detailing tissue procurement from aborted babies. Yet, during the hearing, members spent little time addressing the videos. Instead, Republican lawmakers focused their questioning on Planned Parenthood’s finances and how it spends its $528 million taxpayer dollars. But Republicans didn’t back down, and spend the next five hours peppering Richards with questions over the services Planned Parenthood provides, their travel and party expenses, employee salaries and “co-mingling” of 501c(3) and 501c(4) funds. Here is a summary of the key points addressed in today’s hearing. Chaffetz questioned Richards about her $590,928 salary in 2013, and her combined income of more than $2.7 million from 2009 to 2013. 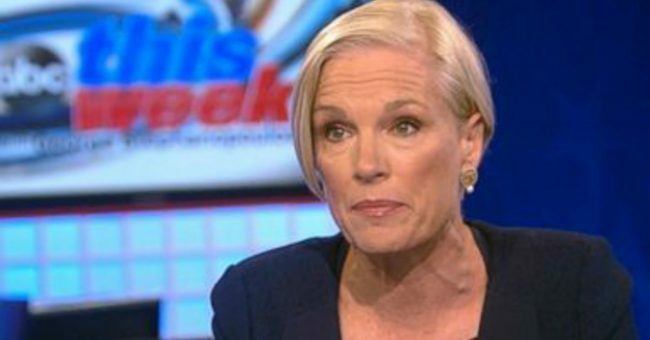 They also raised concern over reports that over 40 of Planned Parenthood’s executives earned $200,000 or more over the years 2009 to 2013. “My colleagues like to say there’s no war on women,” said Rep. Gerry Connolly, D-Va.
Republicans also raised issue with the amount Planned Parenthood spends on travel, galas, and real estate. According to their report, the organization spent more than $5 million on travel on 2013, some of which was spent on first class or charter travel. Republicans also pointed to “blowout parties” where reports say affiliates hosted a “Chocolate Champagne” fundraiser, for example. They also claim Planned Parenthood spent $43.8 million to purchase corporate office space two blocks from Madison Square Garden in New York City. “The taxpayers are funding over 40 percent of Planned Parenthood—they just have a right to know how this money is being spent,” Rep. Cynthia Lummis, R-Wyo., told Richards (emphasis The Daily Signal’s). According to reports, the majority of federal funds Planned Parenthood receives come from reimbursements from specific health services provided through Medicaid. These reimbursements make up 41 percent of Planned Parenthood’s entire funding. In addition to Planned Parenthood Federation of America, which provides services to women through its nearly 700 health clinics and affiliates, the organization has a lobbying arm called Planned Parenthood Action Fund, which advocates specific legislation and politicians who support those policies. According to the Chairman’s memorandum, “Planned Parenthood has given the Planned Parenthood Action Fund $21,576,629 in grants,” and tax returns “indicate that both Planned Parenthood and its affiliates share employees, facilities, equipment, mailing lists and other assets” with the lobbying arm. Republicans took issue with the structure of the two organizations, alleging taxpayer dollars “subsidize” these political affiliates, which routinely backs Democrat politicians. Richards denied any wrongdoing, but said part of her salary is derived from Planned Parenthood Action Fund, and told Republicans she would provide the committee with more information on the matter. Republicans also requested more information about Planned Parenthood’s overseas funding. According to his report, Planned Parenthood sent more than $32.1 million outside the U.S. over the past five years. One of those locations was the Democratic Republic of Congo, which Chaffetz said could be a serious issue, since the U.S. has sanctions on the country. “They’re so flush with cash they started giving money overseas,” Chaffetz said, sarcastically. Richards responded she would follow up on this matter with more information, but said the organization is committed to investing women’s health services in developing countries. Republicans press Richards on a number of its services, including why breast cancer screenings declined by nearly 50 percent from 2009-2013 according to reports. “How many of your affiliates have mammogram machines?” asked Rep Mia Love, R-Utah. Instead, Richards said the organization provides manual breast cancer screenings and refers women who need a mammogram to other clinics. According to Richards, Planned Parenthood performs about 300,000 abortions each year, which makes up up 3 percent of all health services at the clinics. Republican lawmakers pressed Richards on these numbers, asking how the organization derived that statistic. One affiliate lawmakers cited reported receiving $1.4 million from abortion services, making up 28 percent of that affiliate’s entire revenue. In response, Republicans cited the 13,000 federally-qualified health care clinics, arguing they can provide better, more comprehensive care to women. Editor’s Note: This article was first published at The Daily Signal on September 29, 2015, and is reprinted here with permission.